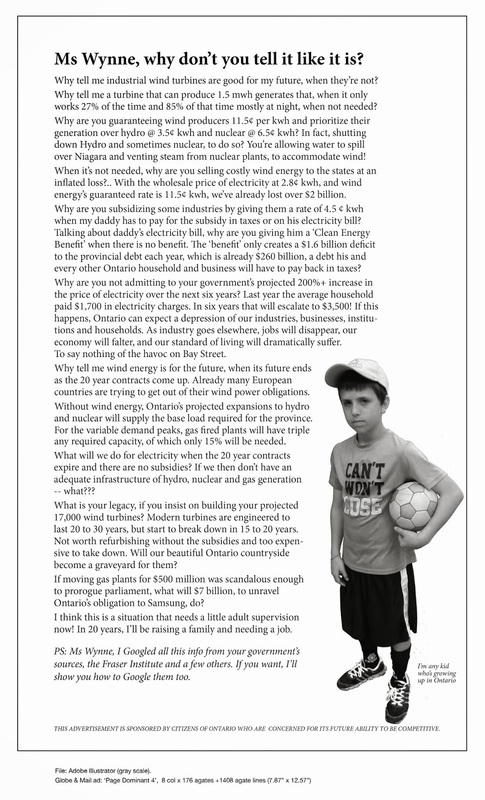 Protecting Our Children From Wind Turbine Power Emissions | Mothers Against Wind Turbines Inc.
Good letter. I am particularly concerned at what you describe as low level noise. Put a few of these turbines together and it is a very obtrusive noise. I find it saps my energy.